Wouldn’t it be great to have the dependability of PowerPoint anytime, anywhere? 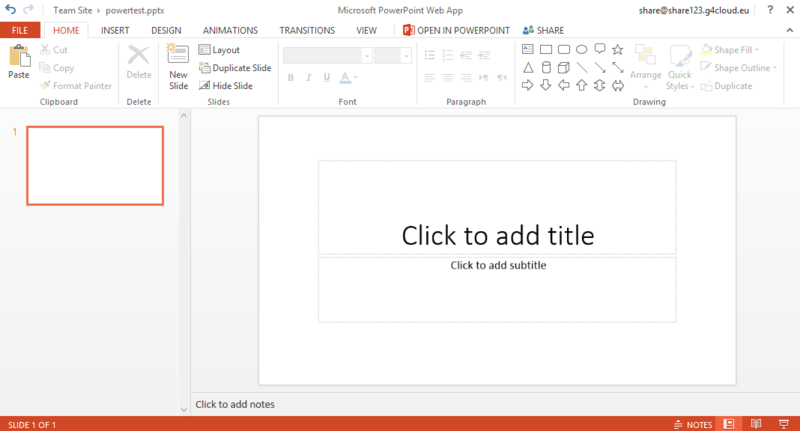 The PowerPoint Web App is an online version of Microsoft PowerPoint that extends the Office experience you already know and love, to the Web. Providing the opportunity to work with presentations directly on the website where the presentation is stored. The online version comes bundled with Excel Web App, Word Web App and OneNote Web App as part of our SharePoint 2013 offering. Microsoft PowerPoint 2013 looks different from previous versions. Check out this guide to help you get started.